← A room divider gets a makeover. OOoooooh! 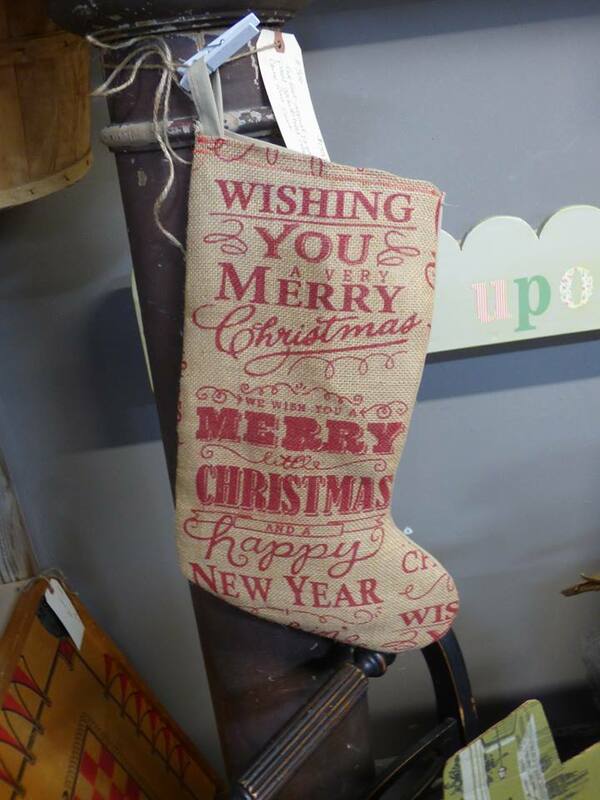 What says vintage Christmas more than burlap with red lettering? A really nice neighbor Diane called and offered up two chairs if I wanted them. They are small and lightweight and just two normal chairs. I had no idea what I was going to do with them. Then I saw this burlap. 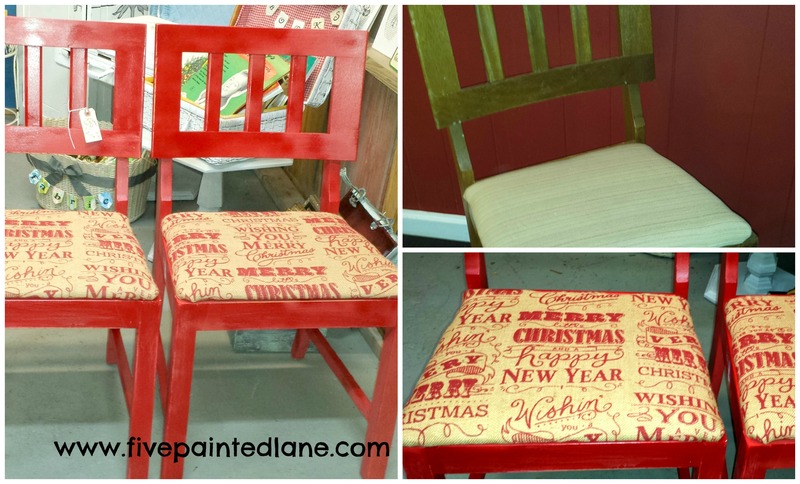 Wouldn’t they be the best extra Christmas seating? Can’t you see them at a kids’ table? And then I made the cutest stockings with the same fabric. It’s beginning to look a lot like Christmas! Cue the music! Put up the greenery! I hope you and your family have a holiday season filled with peace and happiness!